With hunting season right around the corner, we know that many readers will soon be out in the field — with a set of binoculars. 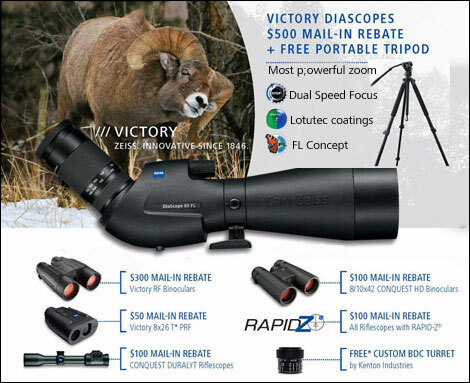 On most game hunts, you’ll speed a lot more time glassing with binocs than looking through your riflescope. With wide field of view and extended low-light capability, a good set of binoculars will be your most important game-finder. 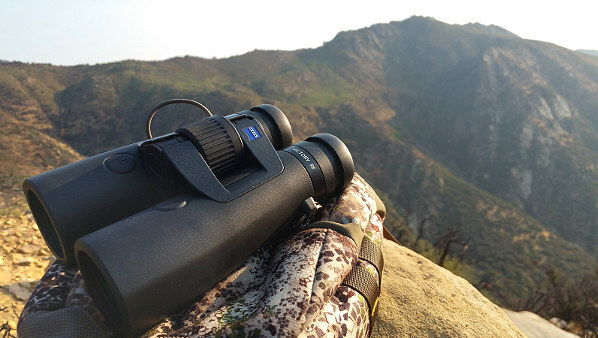 And with premium LRF binoculars, such as the new Vortex Fury, one tool serves both for spotting and laser ranging. 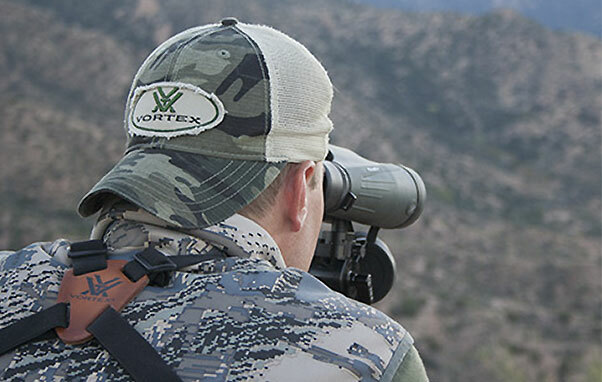 In this article, Vortex Optics’ Mark Boardman, an experienced hunter, explains the benefits of using a tripod with high-magnification binoculars. Everybody knows that powerful spotting scopes work best when mounted to a stable tripod or otherwise secured to a steady mount. Yet when most folks use binoculars, they never even think of using a tripod, despite the fact that tripod adapters are available for many premium binoculars. 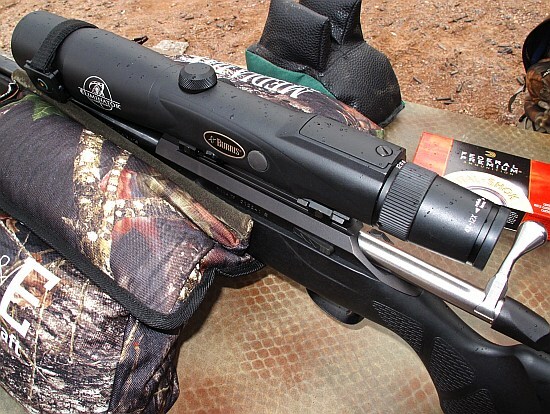 A serious hunter should learn how to glass with tripod support, using methods outlined here. 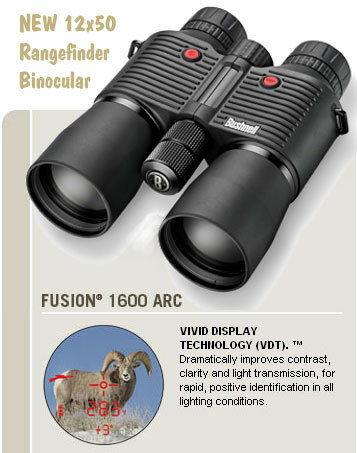 With binoculars offering more that 8X magnification, you can really benefit from a steady mount. You’ll be amazed at the difference the tripod will make. 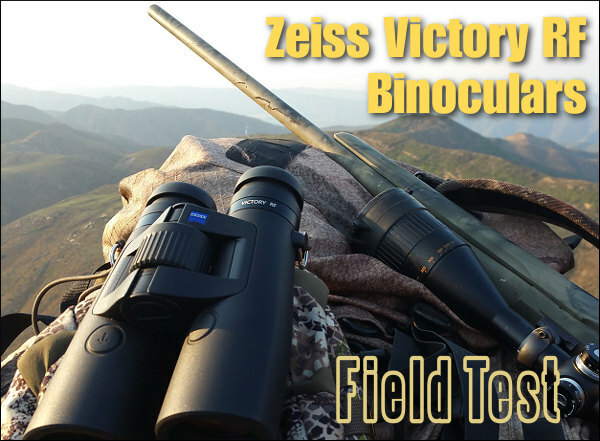 Share the post "Hunting Tip: How to Use Binoculars with a Tripod"
— Lumatic OLED Display™ monitors ambient light and adjusts display brightness. 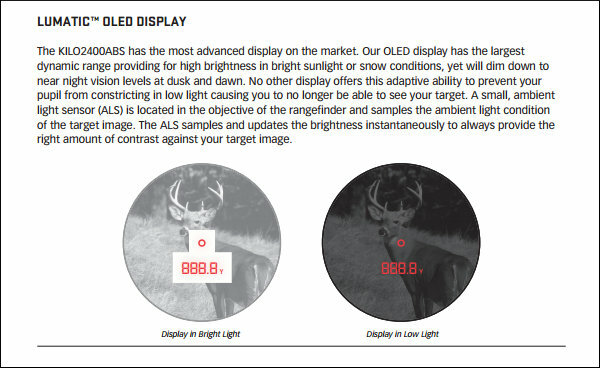 — AMR™ (Angle Modified Range) built-in angle compensation. — 4X per second refresh rate in scan mode. — Dependable waterproof (IP X-4) and fog-proof performance. — Lightweight magnesium body and compact form. 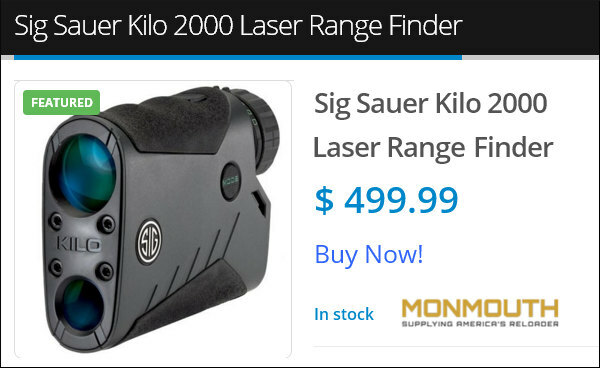 SAVE MORE: Right now you can save an additional $110 off every Rangefinder Monmouth Reloading sells, including the Sig Kilo 2000. 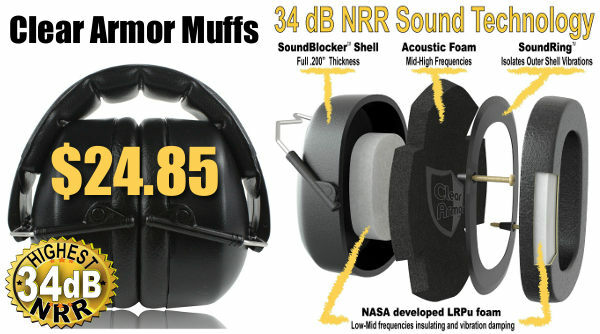 To save an additional $110, use Coupon Code LRF 110. 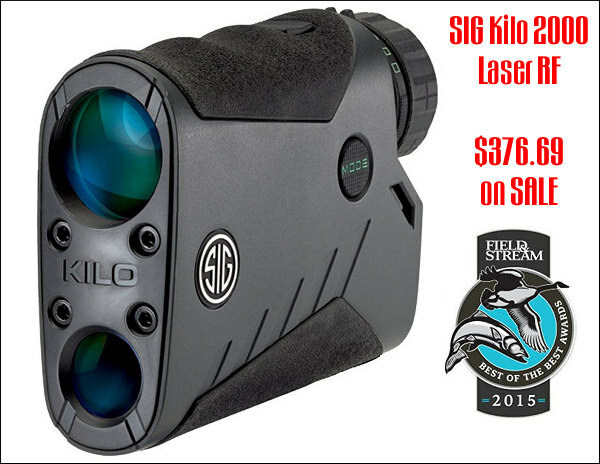 That will lower your cost to $389.00 for the Kilo 2000, which is a total steal. (Time-limited offer). If you are considering getting an NRA Life membership, now is the time to buy. You can get a Life Membership for $500.00. That’s $1000.00 off the regular $1500.00 price. You heard us right — save a thousand bucks on an NRA Life Membership. 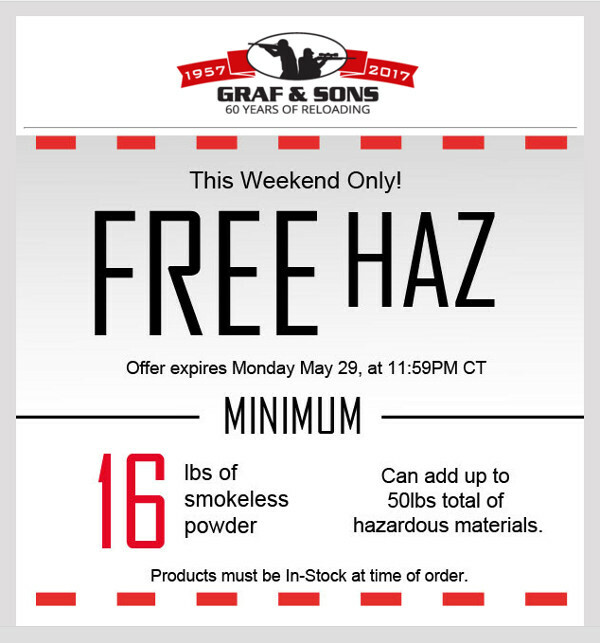 This offer is good through July 31, 2016. And with each lifetime membership, you get your choice of one of four print magazines: American Hunter, American Rifleman, Shooting Illustrated, or America’s First Freedom. Looking for a reliable ultrasonic cleaning unit at a rock-bottom, $59.99 price? 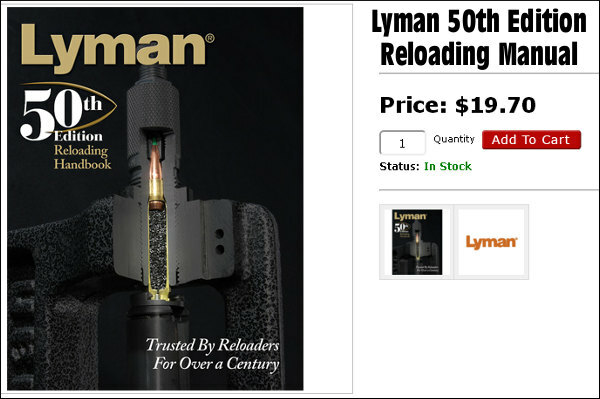 Here’s a very good deal — this new Lyman 1200 sells elsewhere for up to $110.00. This machine will hold up to 350 9mm cases, and clean them in 10-15 minutes. The see-through cover lets you view the progress in the 6.5″L x 5.4″W x 2.6″D heated tank. Select four different dwell times with handy touch controls. 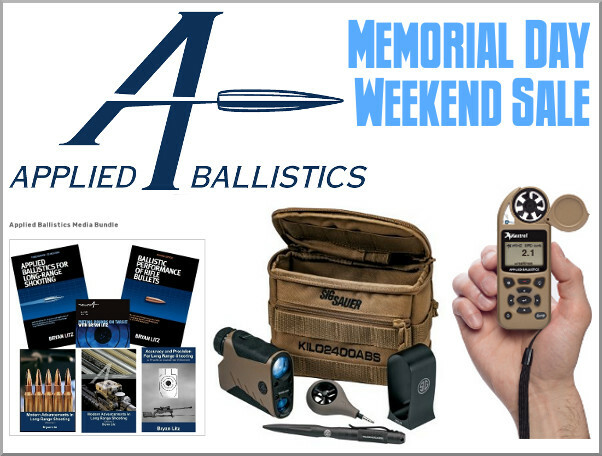 Share the post "Bargain Finder 40: AccurateShooter’s Deals of the Week"
There’s an all-new book from Applied Ballistics. Modern Advancements in Long Range Shooting – Volume II, is now available for pre-order from the Applied Ballistics eStore. 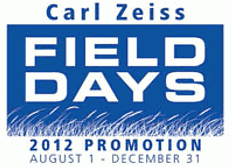 This 356-page hardcover resource is chock full of information, much of it derived through sophisticated field testing. 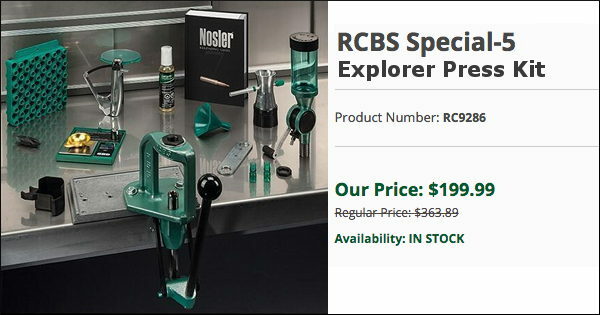 The pre-order price is $34.95, $5.00 off the regular $39.95 price. The books are expected to ship in July, 2016. 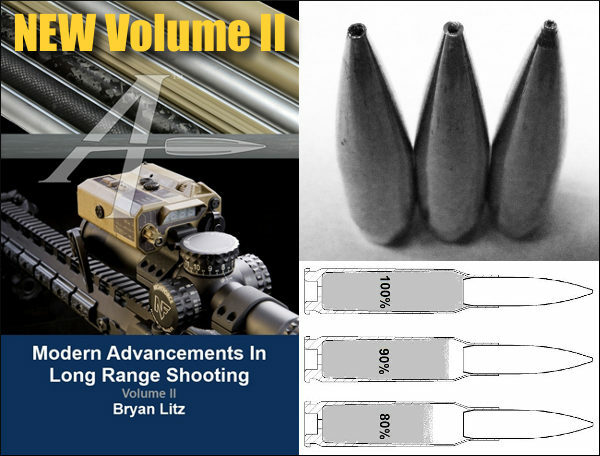 Volume II of Modern Advancements in Long Range Shooting contains all-new content derived from research by Applied Ballistics. 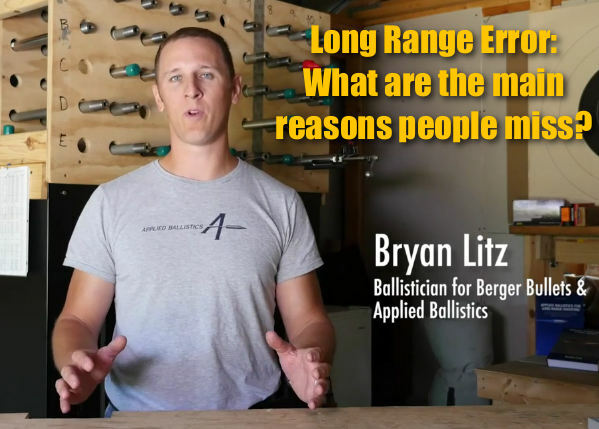 Author Bryan Litz along with contributing authors Nick Vitalbo and Cal Zant use the scientific method and careful testing to answer important questions faced by long range shooters. In particular, this volume explores the subject of bullet dispersion including group convergence. 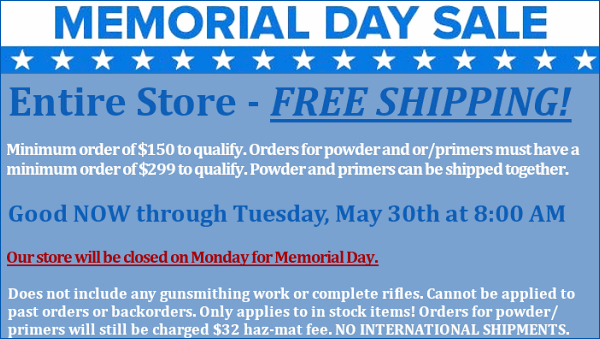 Advanced hand-loading subjects are covered such as: bullet pointing and trimming, powder measurement, flash hole deburring, neck tension, and fill ratio. Each topic is explored with extensive live fire testing, and the resulting information helps to guide hand loaders in a deliberate path to success. The current bullet library of measured G1 and G7 ballistic coefficients is included as an appendix. This library currently has data on 533 bullets in common use by long range shooters. 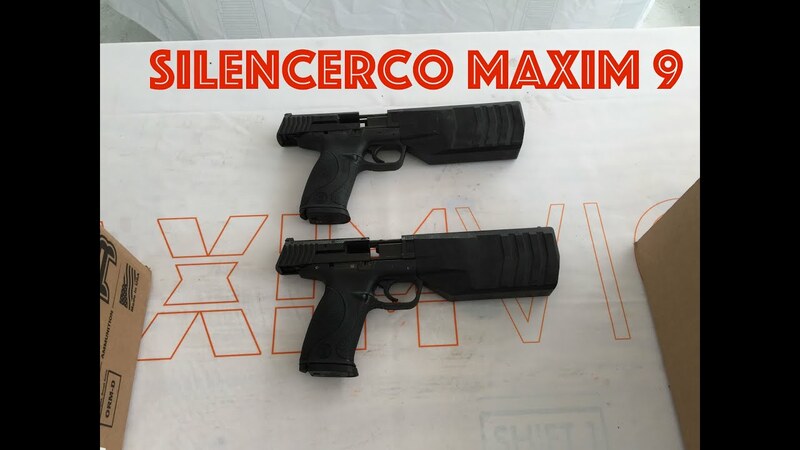 Share the post "NEW: Modern Advancements in Long Range Shooting, Volume II"
TrackingPoint’s innovative technology has been on the market for a number of years now, and has proven to be a valuable long-range shooting tool. 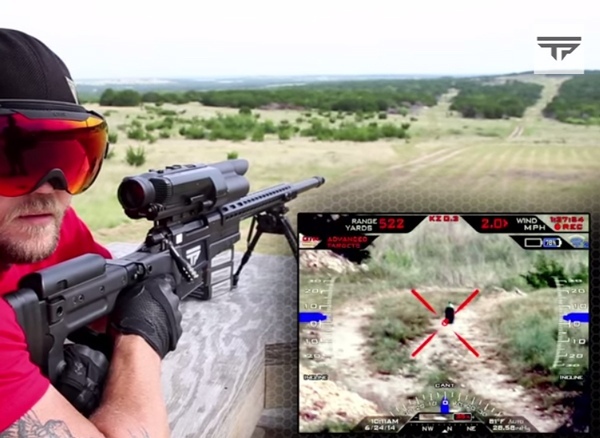 TrackingPoint is a Texas-based, Austin-area applied technology company that developed a unique, precision-guided firearm (PGF) system in 2011. 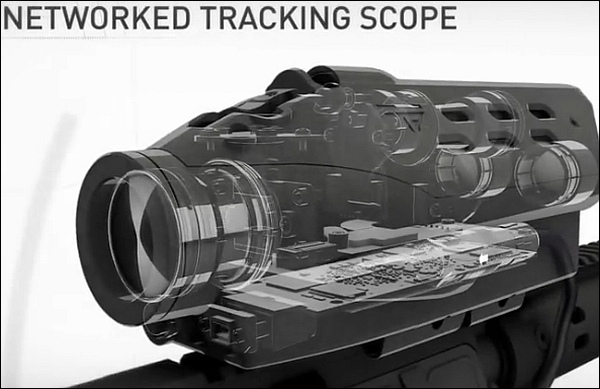 TrackingPoint’s ordinary rifles in common calibers, designated with the XS prefix, are equipped with high-tech “networked tracking” rifle scopes. These advanced optics are the heart of the company’s tag-and-shoot technology, and the entire setup is remarkably similar to the systems found in cutting-edge fighter jets. So, how does it work in the real world? Pretty darn well, as it turns out. 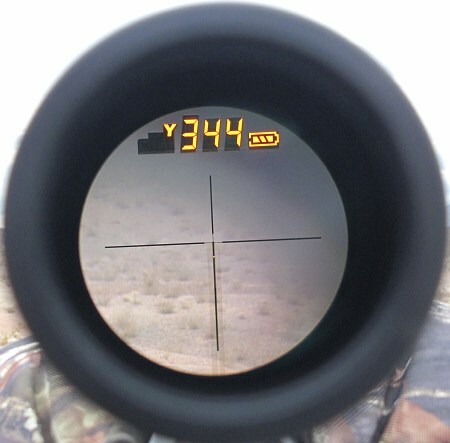 The shooter simply finds his or her target, centers his “X” reticle on it, and presses a “tag” button, which is usually integrated into the firearm’s trigger guard. 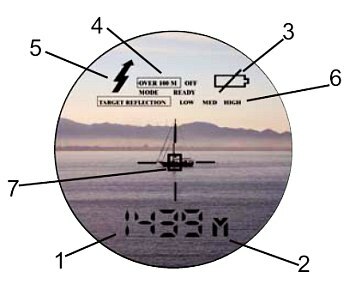 This puts a digital “mark” on the target, and the optic remembers where that particular tag was placed for the duration of the shot. At this point, the system has already automatically performed all necessary distance and environmental calculations. The only other manual inputs needed on the shooter’s part are to enter the wind call, and press the trigger. And, the rifle even helps out with that part. 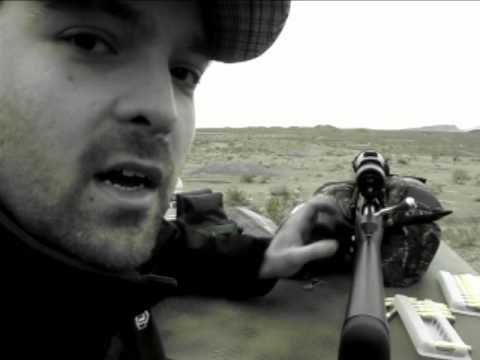 Because the tag was placed on a unique target, and is remembered by the system, the rifle won’t actually let the shot break until the shooter has lined up the crosshairs with the original tag. So the user may press the trigger, and nothing will happen… until the reticle is placed on the original tag. The rifle will then fire. For each Tracking Point shot, the elevation should be dead on. However the wind can still come into play — the TrackingPoint system does not sense the wind speed or direction. 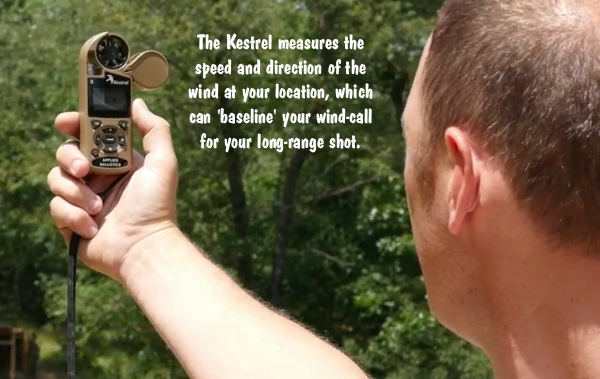 Wind values must be detected by the shooter and entered manually. Once wind speed/angle are entered, the TrackingPoint automatically calculates the needed windage correction (left or right). The TrackingPoint system does much more than make long range shots easier to accomplish. The networked tracking scope is also a WiFi server. This means that the image seen through the ocular lens (by the shooter) can be beamed to an Apple iPad, which is included with the rifle. 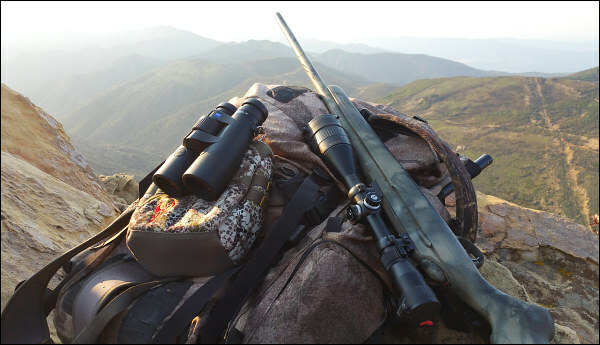 Hunting guides can then see exactly what their clients are viewing through the optic, and make suggestions or provide pertinent advice to the shooter. 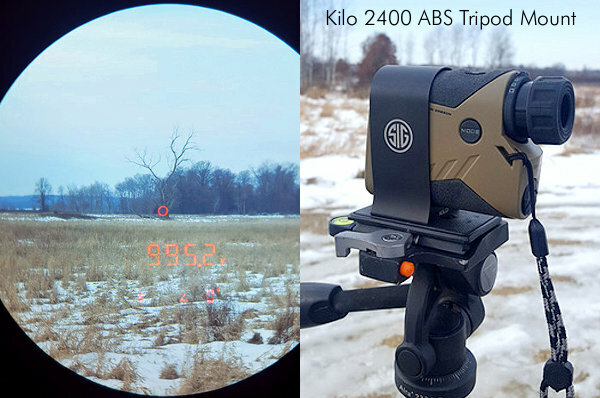 If that wasn’t enough, TrackingPoint recently integrated the high-tech Google Glass hardware into their shooting system. By using eyewear with built-in displays linked to the TrackingPoint optic, shooters can make successful shots without looking directly through a rifle-mounted scope. The eyewear has a small display that shows the target(s) “seen” by the rifle’s optic. The operator can then take the shot from any position. You can shoot around a corner, or keep your head and torso out of view. 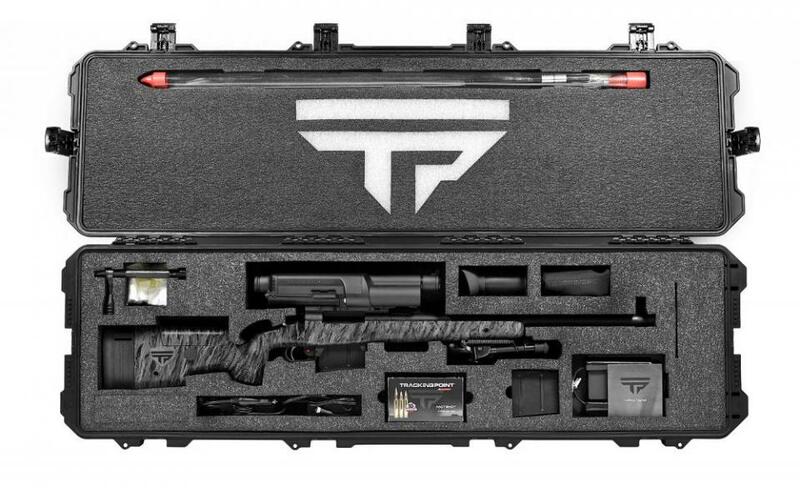 The possibilities for hunters, competitors and real-world tactical shooters are nearly endless. TrackingPoint’s unique rifle systems are available in both semi-automatic and bolt-action formats, ranging in calibers from .223 (5.56 NATO) to a proprietary .338 of the company’s own design. What do these systems cost? Well high technology does not come cheap. 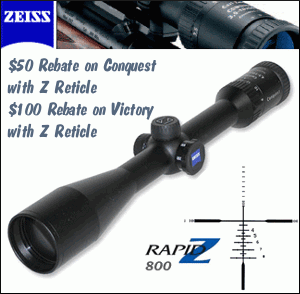 Rifle systems range in price from $7,495 to a staggering $49,995. But, for the right client and the right mission, perhaps no price for this technology is too high. 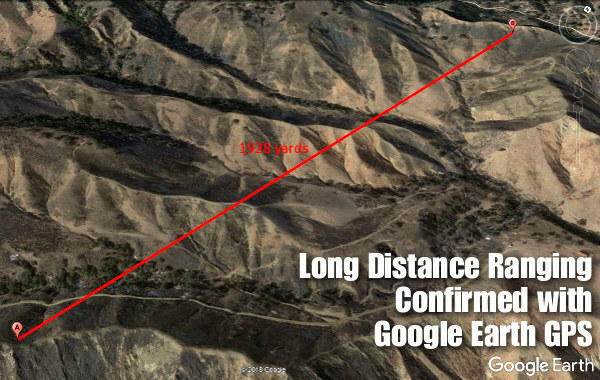 That’s what Tracking Point is counting on…. Share the post "TrackingPoint Rifle Systems Employ Cutting-Edge Technology"
Leica just introduced its latest pocket-sized laser rangefinder, the CRF 1600-B Rangemaster. 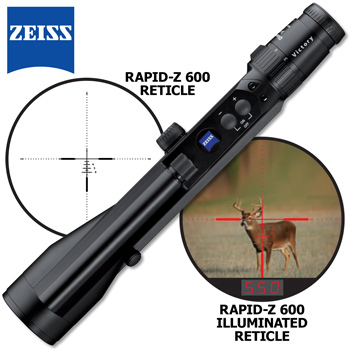 This unit features built-in angle compensation plus a ballistics solver that can give you either hold-over (in inches or cm) or clicks (from your zero) to put the shot on target at the ranged distance. At the heart of the CRF 1600-B is Leica’s Advanced Ballistic Compensation(ABC™) system, a precision integrated ballistics calculator that combines stored data with analysis of current ballistics parameters. To calculate projectile trajectory, the ABC™ system processes multiple ballistics variables, including measured distance, angle of incline, temperature, and absolute air pressure. The new 1600-B should be available in June, 2012. The “street price” should be the same as the current CRF 1600, $799.00. There’s a lot of marketing mumbo-jumbo in the product release info, but what you need to know is that the new CRF 1600-B offers three important functions, in addition to ranging distance to target. These functions are: Angle Compensation, Display of Hold-Over, and Click-Value Display. If you are taking an angled shot (whether up-hill or downhill), the 1600-B tells you the true horizontal component distance to the target. 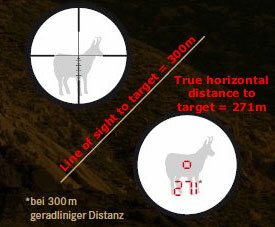 Use this number (as opposed to the line-of-sight distance to the target) to set your elevation. The 1600-B figures out the angle through a built-in inclinometer. 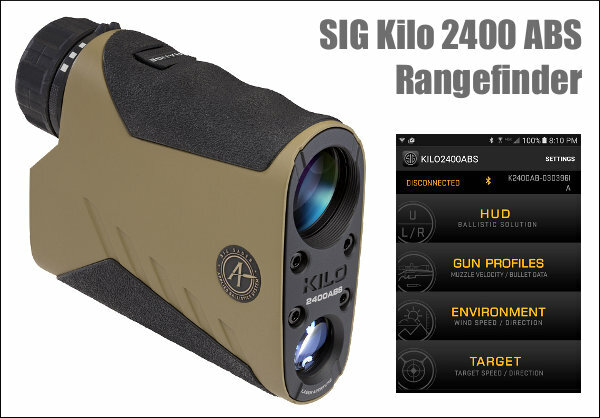 This is a handy feature for hunters and tactical shooters, but it’s not really that innovative — other rangefinders have have offered angle compensation for quite some time. 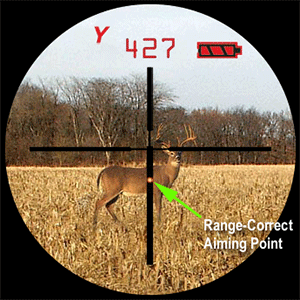 Still this is a nice feature that allows hunters to dispense with an angle indicator on their rifles, and you won’t have to work out math equations in the field. When you range a target, the 1600-B can display the actual hold-over you need (at the ranged distance), either in inches or centimeters. Then you simply place your cross-hairs higher on the target, according to the hold-over value displayed in cm or inches. This works well — so long as you have some idea of the actual size of the target. If you don’t know if your prey is 4-feet tall or 6-feet tall then you can make mistakes. 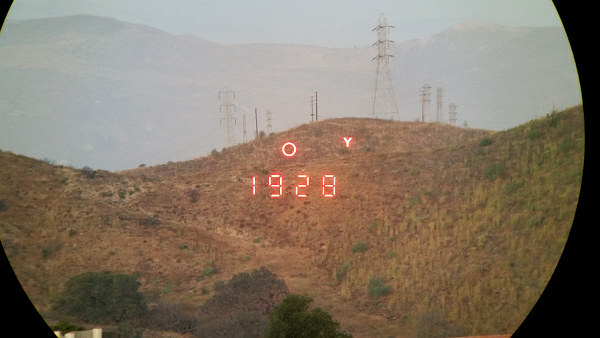 The hold-over display can read in either inches or cm. 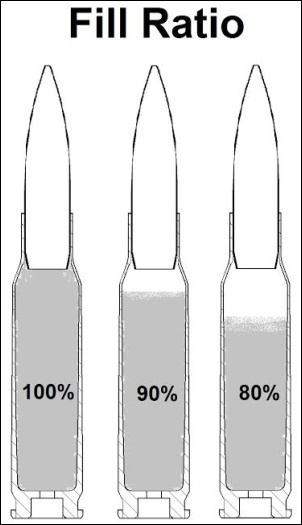 Holdover values, based on 12 pre-programmed ballistics curves, are given from 100 yards to 880 yards (compared to only 500 yards on the CRF 1600). One very handy feature of the new Leica 1600-B is that it automatically calculates the elevation clicks you need to correct your point of impact (POI) for the target range. 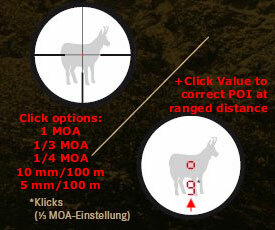 First, you must select a matching ballistics curve (based on your muzzle velocity, bullet BC etc.). Then the 1600-B uses its built-in ballistics solver to calculate drop at the target distance, figuring in temperature and barometric pressure automatically. With a click of a button the 1600-B will displays the number of up-clicks you need to have the correct POI at the ranged distance. 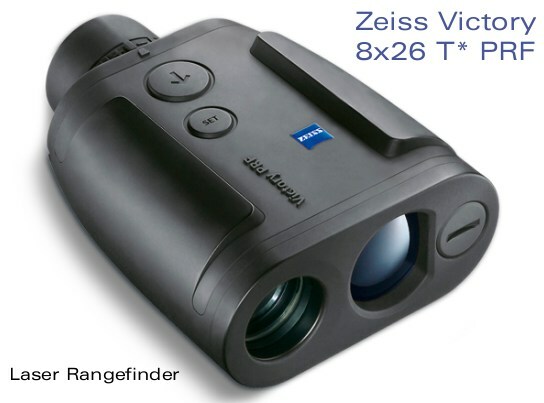 Available click values are: 1 MOA, 1/3 MOA, 1/4 MOA, 10 mm/100 m, 5 mm/100 m.
The new Leica 1600-B features a 7X monocular optic with 24mm objective and 3.4mm exit pupil. The external lenses have AquaDura® coatings. Though it’s packed with computing power, the 1600-B weighs just 8.1 ounces and, measuring 3″ x 1.63″ x 1.25″, it really does fit in a shirt pocket. Along with target distance, hold-over, and calculated clicks, the auto-adjusting red LED display can show Angle of Incline, Temperature, and Air Pressure. Leica claims the 1600-B will range out to “approximately 1,600 yards”. 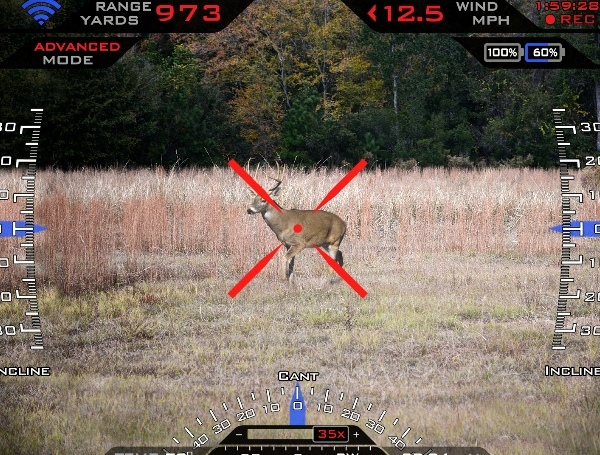 Yes, in ideal conditions, the unit can nail a large, reflective object (such as a barn) at that distance, but you’ll find real-world performance on deer-sized targets to be quite different. It is hard to hand-hold the tiny CRF 1600-B with sufficient stability to range small objects at extreme long distance. When testing the current CRF 1600 model we’ve found the practical max range for hand-holding on a deer to be about 800 yards, and even to do that you need very steady hands and a bit of practice. 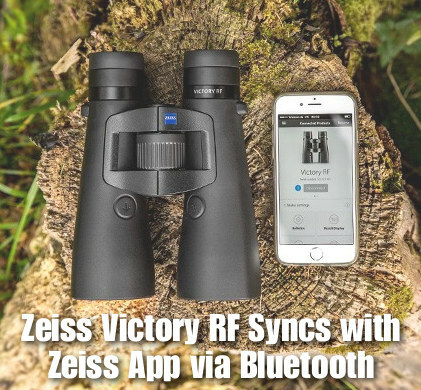 For long-distance ranging, we actually prefer a larger, flat-body design, such as the Zeiss Victory PRF, which can be rested more easily on a pack or sandbag. For the new 1600-B model, Leica claims measuring accuracy of +/- 1.1 yards to 400 yards, +/- 2.2 yards to 800 yards, and +/- 0.5% over 800 yards. Share the post "New Leica CRF 1600-B Shows Hold-Overs and Elevation Clicks"
Today at the SHOT Show’s “Media Day at the Range”, Burris gave us a glimpse of the future in hunting optics. 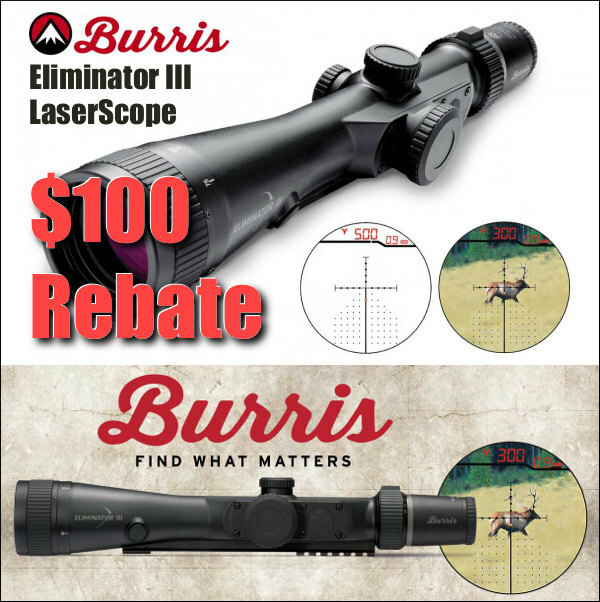 The new Burris Eliminator scope will range your target, calculate your trajectory, and illuminate a spot on the reticle that becomes your aimpoint at extended range. 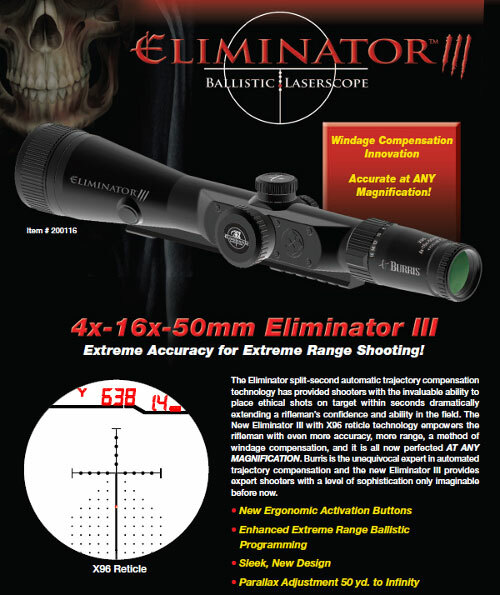 We could write a treatise on the Eliminator’s breakthrough technology, but all you really need to know is that after you range your target with the scope, a red dot appears on the vertical crosshair that is the correct aiming point for your ranged distance. The ballistics “hold-over” is already calculated. Just put the calculated red dot on the target, and pull the trigger. It’s that simple. 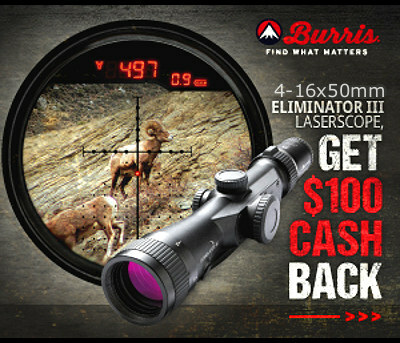 Share the post "Burris "Eliminator" LaserScope Automatically Sets Aim Point for Ranged Target Distance"
Newcon Optik, based in Toronto, Ontario, Canada, produces many optics products for the Canadian military including laser rangefinders, image stabilizers, and night-vision gear. 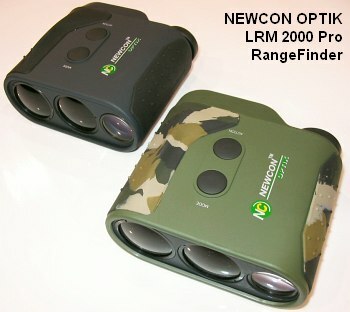 Newcon Optik also sells a line of laser rangefinders for consumers. 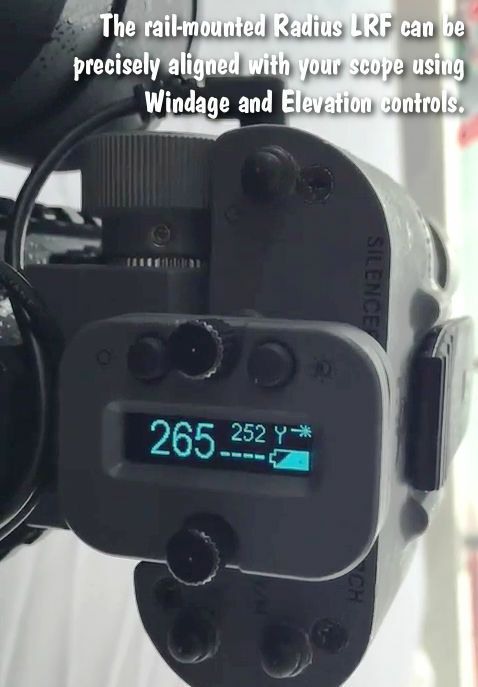 Newcon claims that its rangefinders offer performance comparable to Leica, but at a much lower cost. The Newcon Optik LRM2000 Pro is designed to function out to 2000 meters, with a “reliable, all-conditions range” of at least 1500 yards. The LRM2000 Pro sells for $499.95 at SWFA.com, making it considerably cheaper than comparable models from Leica and Swarovski. AccurateShooter.com has not been able to field test the LRM2000 Pro ourselves. 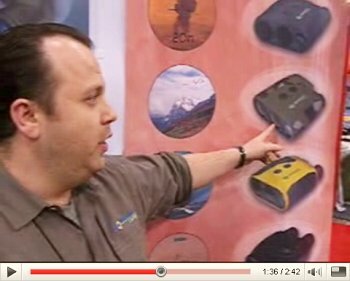 For that reason it was not included in our Review of Laser Rangefinders done in 2007. 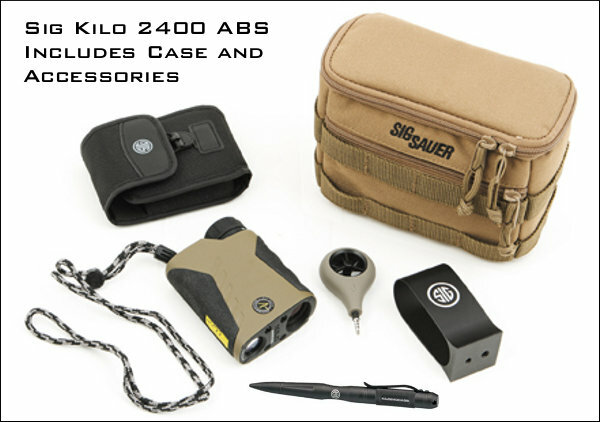 However, we’ve handled the unit at SHOT Show and there are many features we like. 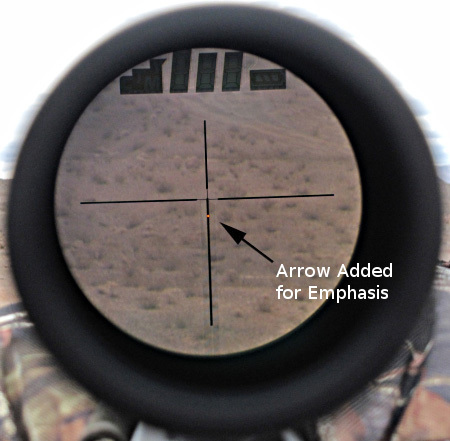 First, it has a selectable reticle, offering a choice between a small rectangle and a cross-hair. 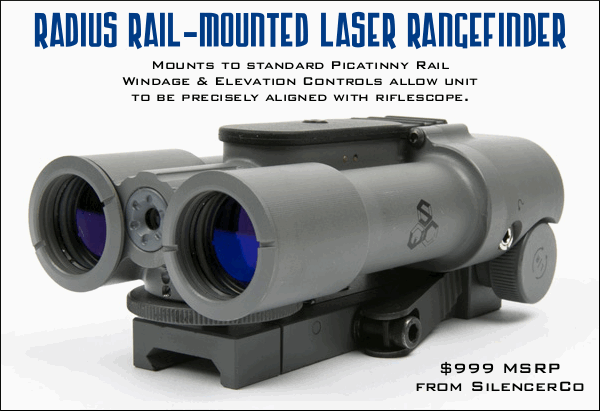 By contrast, the $890.00 Swarovski Laser-Guide only offers a rather large aiming circle. 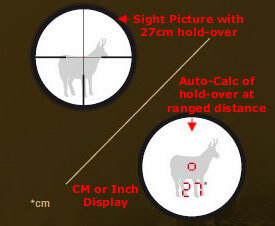 Some hunters have complained the Swaro’s reticle is just too big for deer-sized animals out past 600 yards or so. We also like the Newcon Optik’s shape and ergonomics. Sized 4.72″ x 4.8″ x 2.36″, the Newcon is flat and easy to hold, with non-slip rubber grip sections on both left and right sides. You can hold the brick shape securely with two hands, horizontally, like using binoculars. 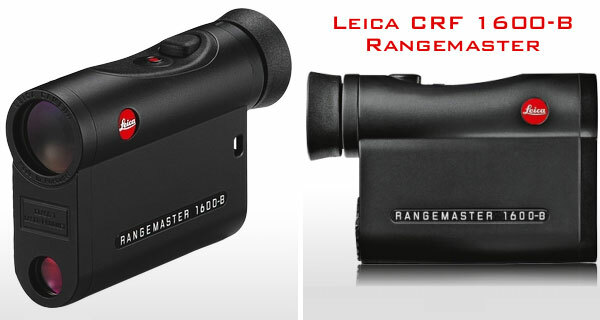 By contrast, Leica went to an ultra-compact, vertical design for its latest CRF1200 rangefinder. The CRF’s small size makes the Leica easy to carry, but it is more difficult to hold the Leica stable when precise aiming is needed. With the Newcon Optik, you can set it flat on top of a case or rucksack and it’s easier to maintain a solid grip. 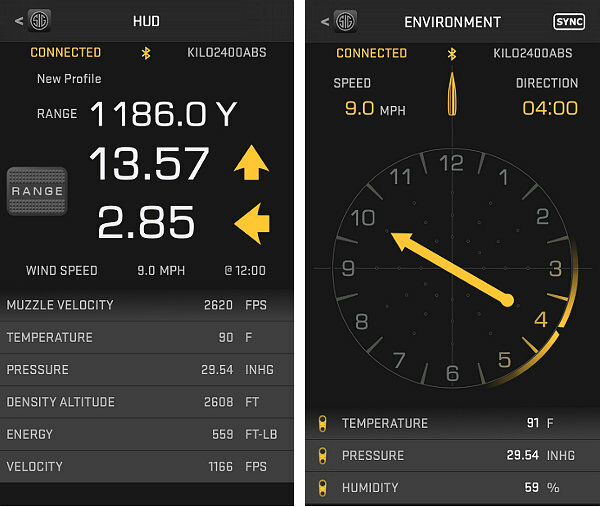 The LRM2000 Pro also offers a built-in digital compass, a nice feature for anyone in the outdoors. 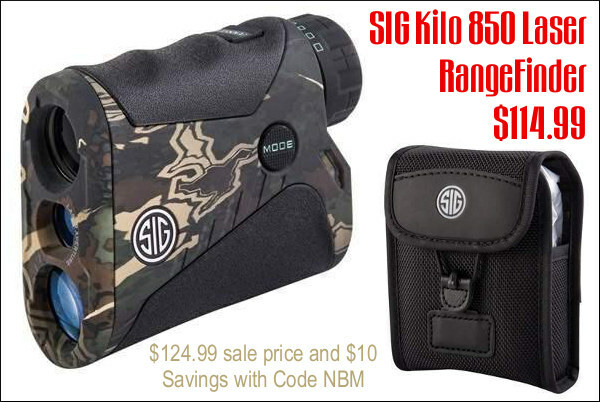 How do the Newcon Optik rangefinders perform in the field? Do they live up to the claims of Leica-class performance? 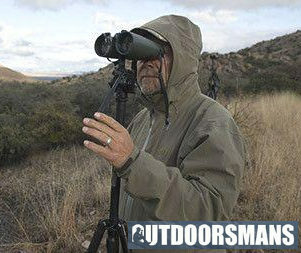 We invite our readers who own or use Newcon Optik rangefinders to add their comments. Share the post "Newcon Optik Laser RangeFinder from Canada"